What's a woman to do when she just NEEDS a cookie? She could go buy a whole package of cookies - and then eat the whole package of cookies. Or she could go without a cookie - and that is a sad place to be. Better yet, she could make a single cookie in a cup in just a couple of minutes. That sounds like a plan to me ... and much less tempting than having a whole package sitting around. 1. In a bowl, combine ingredients in the order they're listed. 2. 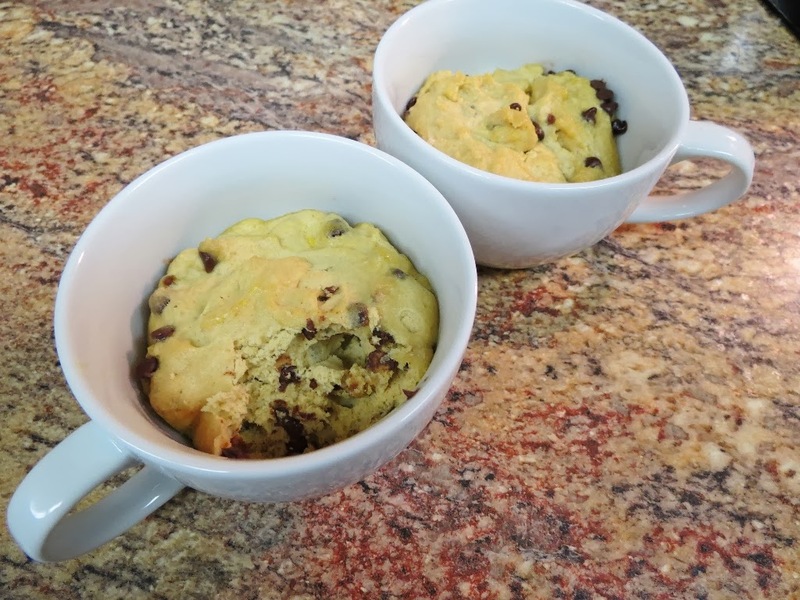 Transfer cookie dough into a cup. Microwave for 60 seconds. 3. Eat as is or add some lovely toppings. Every woman has moments in her life when she feels about two inches tall. Maybe it's feeling unappreciated, put down or neglected. People can poke at us, prod us and drive us insane with their words and actions - or lack thereof. There are some who do it unwittingly while other are purposely trying to crush our spirit. Some days it's dealing with angry people at work. Other days it's friends and family who mean well but step on more than just your toes. Or complete strangers say and do the things in their hearts, not realizing who and what they're breaking. These hostilities make us wonder if there's anyone out there who loves us. Sure, people say the words, but we often wonder if it's really true. Are we all alone? Is there anyone left who loves us completely? One of the characteristics of a great sketch is its flexibility. A good sketch will work for a card or two, but a great sketch can be used time and again in different themes and colors. This is the perfect example of such a sketch. Imagine, if you will, a basic background that can change color for your event or holiday. The main block is an image that gives a clear picture of the theme. Behind that is a strip that gives more punch and six small images that can rotate through all of the typical thematic elements. For my card, I prepared for the season of love in true Valentine's style - there's no mistaking this theme. The background is double matted in dark pink and a light pink pattern. Subtlety is important when layering patterns of similar colors. The banner in the middle is simply a card stock phrase mounted on a long strip of white. The ends each have a triangle snipped out, creating the banner look. 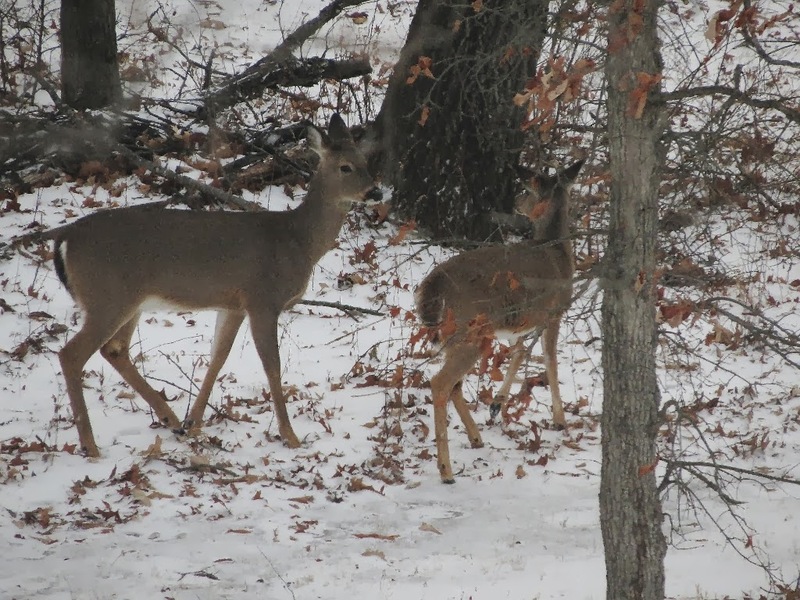 At this time of the year, the deer in our woods are much more alert than normal. It's quieter because of the snow, so they're much more careful. If you watch them as they walk, they are very aware of the world around them. Their adorable ears are constantly moving and their big eyes take in everything they can. No detail goes unnoticed. 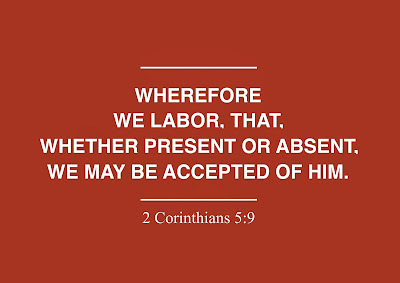 Make this a weekend of attention - attention to the Lord without distraction. There are enough little things happening these two days that could easily draw us away from our time with God. Instead of charging through the weekend, let's be just as attentive as these deer. Focus on the important things - time with the Lord - and see what blessings He has in store for you. No one knows the sheep of the field better than their shepherd. He knows what's best for them, what their individual personalities are and what they need to keep them safe and happy. Another shepherd could come in, but the relationship would be totally different. They don't know each other or trust each other because there is no foundation to build upon. 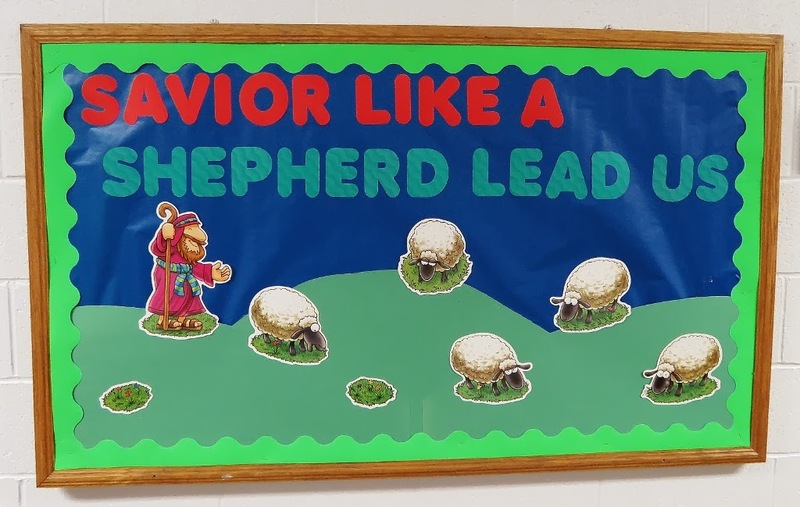 As the sheep of God's field, we are protected and led by the Good Shepherd. He knows us personally and knows us better than we know ourselves. He has known us from the foundation of the world, and He knows every hair on our head - what a magnificent and soothing thought. 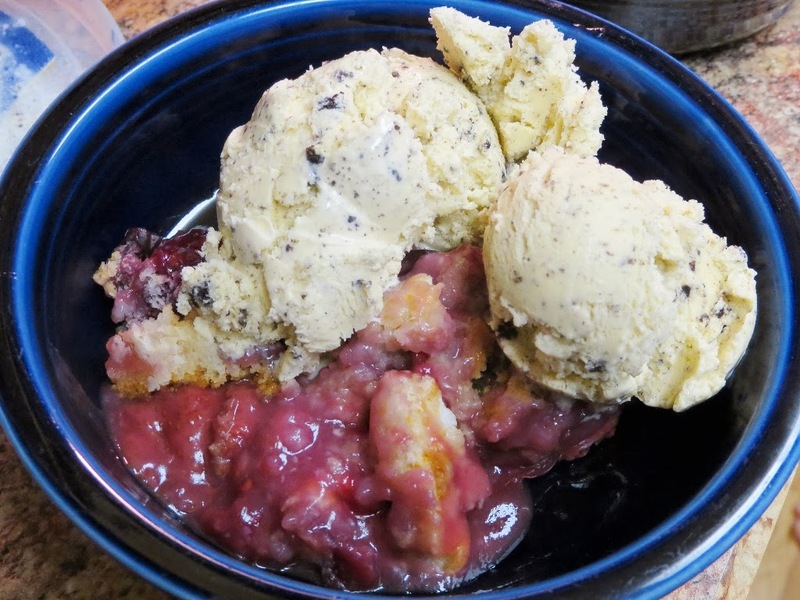 When it's cold and windy outside, there's nothing more comforting than a warm berry cobbler. Add a couple of dollops of ice cream and you're set! Better yet, this cobbler uses just three ingredients and takes just about 45 minutes. So within an hour, you'll have a dreamy dessert to fight off the chill. 2. Pour a single layer of frozen berries into a 9x13 inch glass baking dish. 3. Evenly cover the top of the berries with the cake mix. 4. Pour the Sprite over the cake mix, making sure it all gets covered. If any mix is sticking out over the top of the Sprite, it will remain uncooked and powdered. Stir it a little bit if you need to. 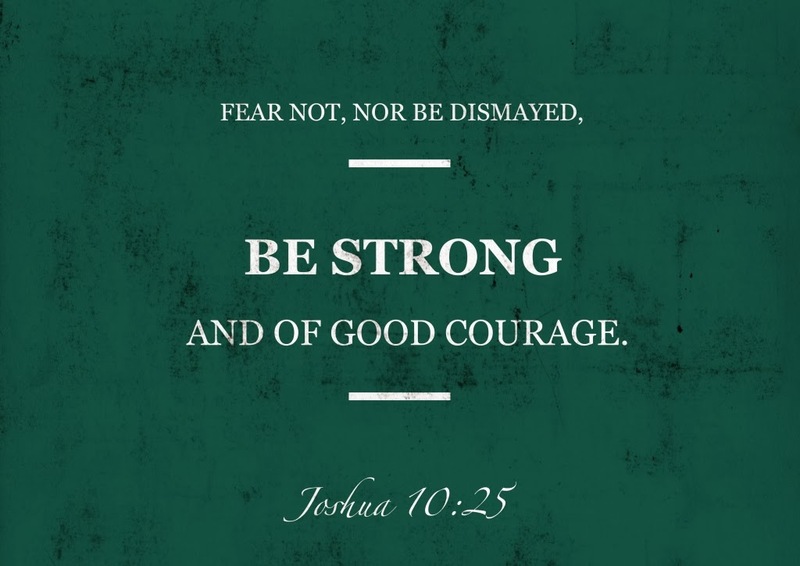 Trials and difficult times come out of nowhere. There is no sign or warning or time for preparation, letting us know that a trying time is coming. It's often difficult to think or reason when you're in the middle of a crisis. Time moves too fast or too slow - your mind becomes jumbled just attempting to function normally. You may even be physically sick or mentally exhausted. The key is to be learning, studying and growing now before the trouble comes. You wouldn't sit down in a classroom and take a test without studying, just assuming you'll pass on blind luck. You spend countless hours reading and memorizing and learning so that when the day of the test arrives, scheduled or not, you'll have all the resources you need to be successful. The same principle applies to tests in your personal life. The more preparing you do in God's Word now, the easier it will be find victory over the obstacles set before you. There's nothing better to do during a heat wave than go for a walk in the woods. And by heat wave, I mean it was 45 degrees - an actual heat wave in southern Iowa right now. It's a great way to spend a Sunday afternoon in January. A walk in the woods means we let the girls off their leashes and meander behind them as they traipse through the 33 acres of woods surrounding the house. 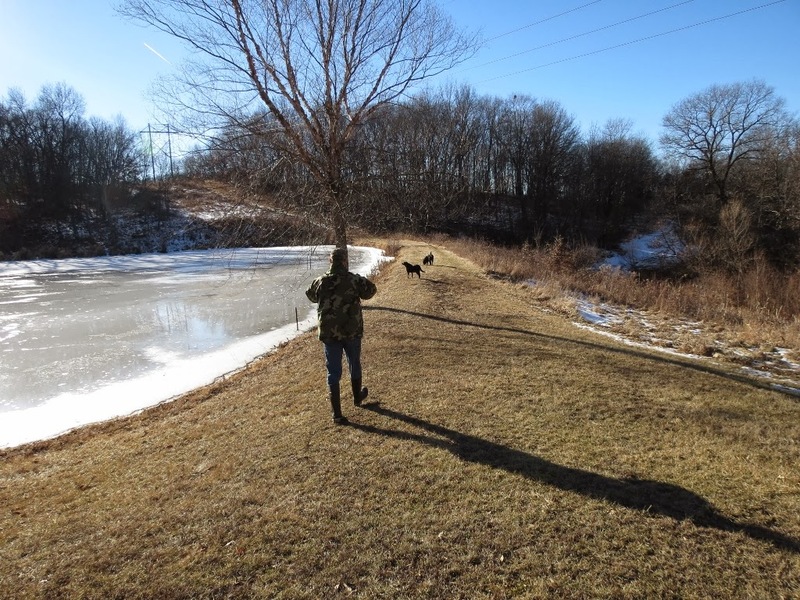 Along the way, we test the ice on the pond, look for tracks and see what else might be left behind by animals walking through the snow. It is absolutely gorgeous in the woods right now. The sunshine hasn't melted everything up there yet, so there are plenty of smells for the girls and plenty of sights for Danny and me. We've got some ideas for springtime, things we'd like to add and change and take out of those trails. It's so much fun to talk and dream and think and walk and enjoy the girls. I absolutely adore this sketch. It's so versatile and easy to be creative with. It's very, very simple, which makes it full of possibilities. 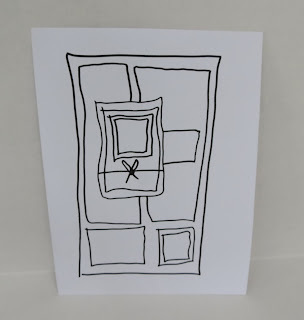 The lefthand side is a border - a border of whatever you'd like. It could be lots of different sizes of the same image, many colors or shapes, or maybe just a layered paper border of a pattern. Like I said - it's full of possibilities. The phrase or focal point is in the bottom corner, accented with one more of those embellishments. 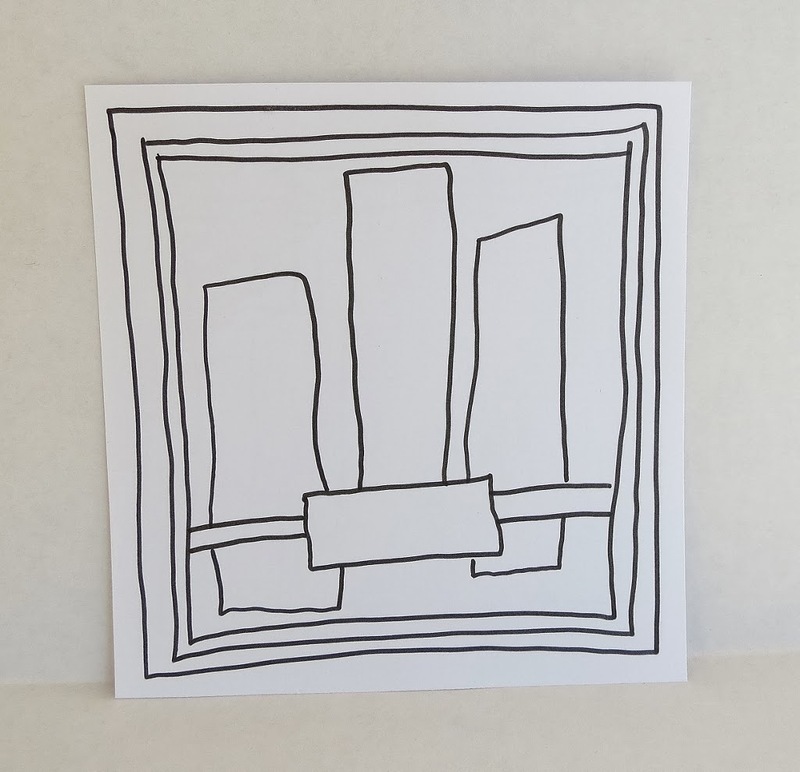 This leaves the upper righthand corner empty, drawing the eye down the side and across the bottom. In my card, I used coordinating shades of blue, including the images along the side. This was the fun part - finding everything in pretty shades to go together. I also ink-distressed all of the edges so they would stand out from each other. I've been in a meat kind of mood lately. I'm really making an effort to cut out all the sweets and extras we've been eating in our house and do some great, tasty meals. This BBQ chuck roast is the perfect way to do that. It's fairly effortless and is just full of flavor. Choose a roast with some good marbling and you're set! Plus, it's an easy slow cooker recipe, so set it and go. 1. Heat 2-3 Tbsp olive oil in a cast iron skillet. While it's heating, coat the roast with Montreal chicken seasoning. Sear the meat on all sides. 2. 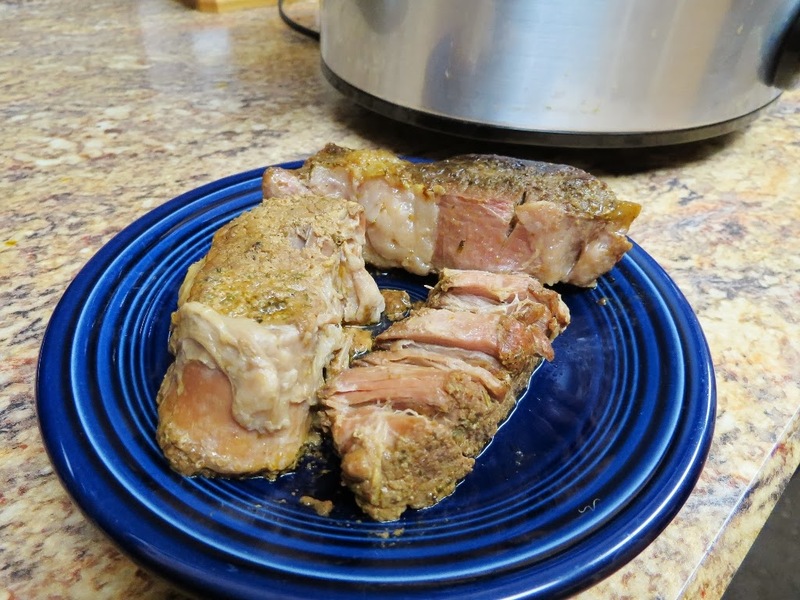 Place the meat in the bottom of the slow cooker and turn it to high. 3. Mix the root beer, enchalada sauce, Worchestershire sauce and hot sauce in a bowl. Pour mixture over the meat and cover. I've been up to my ears in special orders for Etsy over the past few weeks, and it's been phenomenal! I love getting to be creative and make some special cards for some very special people. But after a while, I can't focus on paper anymore. I'm a self-described paper addict, but I have my limits some days. So I wandered out of my comfort zone and into Danny's. 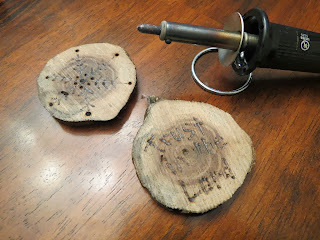 I asked him to cut me some wood rounds, the coasters you get from slicing a large branch, and teach me how to use his wood burning pen. Now, I've seen him use it many, many times. And he's made a lot of amazing wood gifts for people by wood burning. I, however, have never tried this before. He readily agreed and walked me through how to use it safely and effectively. I didn't realize how intricate it can be to use or how easily you can ... ummm ... change your project mid-stream. Lists are wonderful, beautiful organizational tools. They make life simpler and keep us from having to remember and rehearse things in our head. Or at least that's the idea, anyway. I'm a list-maker. I love seeing everything that I need to do or get or see all in one place, and I love to cross things off my list when they've been accomplished. There is personal satisfaction in that to me. But, like anything else, too much of a good thing can be destructive. As much as I love lists, I'm learning that relying on them too much - and going overboard - can actually make things worse. On Friday morning, I made a list that would get me through the entire weekend. On the Saturdays and Sundays that Danny has to work, I close myself up at home to get some major things accomplished. It's my time to be productive and do some things that I've been putting off. 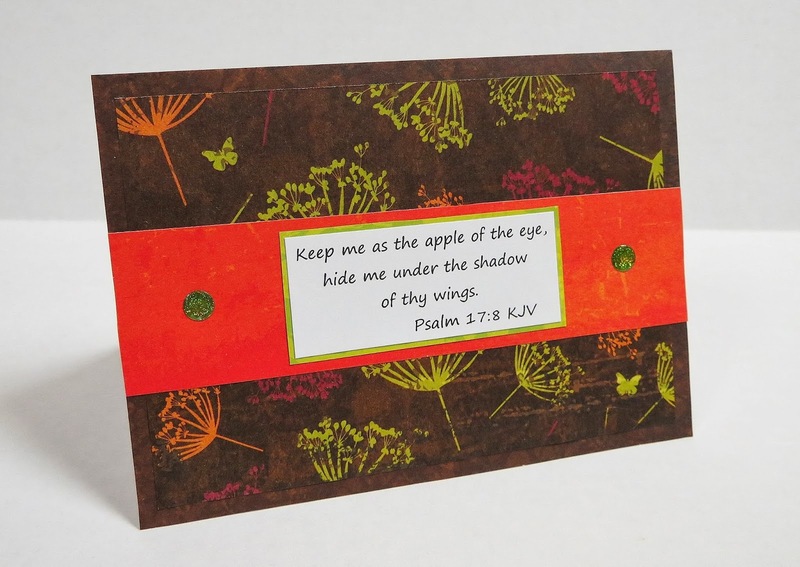 A card doesn't have to be intricate and time-consuming to be special and beautiful. A simple layout and gorgeous colors make all the difference - not slaving over a craft table for hours on end. 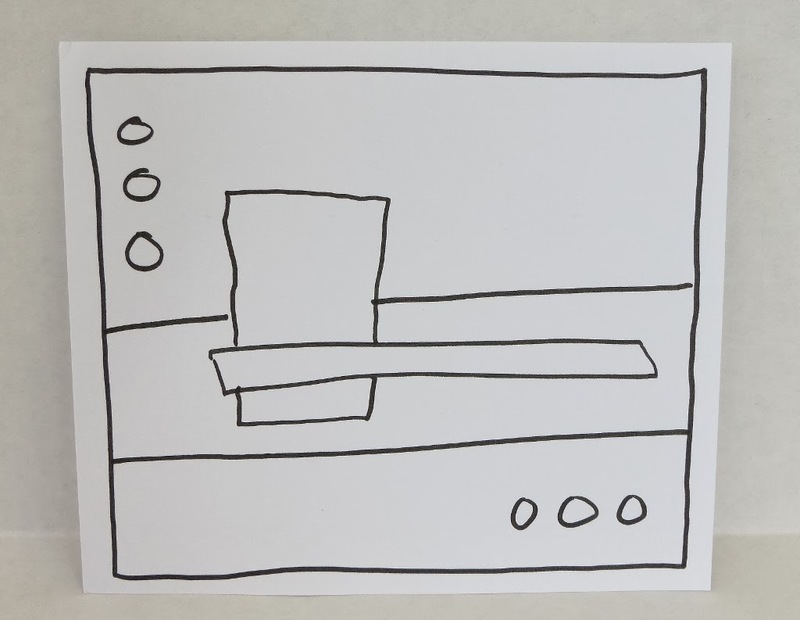 This sketch is basically three layers for the background - two solids and a pattern - and then three coordinating blocks behind the focal point. For each piece, you want to make sure there is lots of layering to add depth and color all over this card. Without that technique, you've got boring paper on paper, which seems a little silly. For my card, I used a coordinating set of blue papers. Starting with the back aqua layer, I matted my way up to the light blue patterned background. 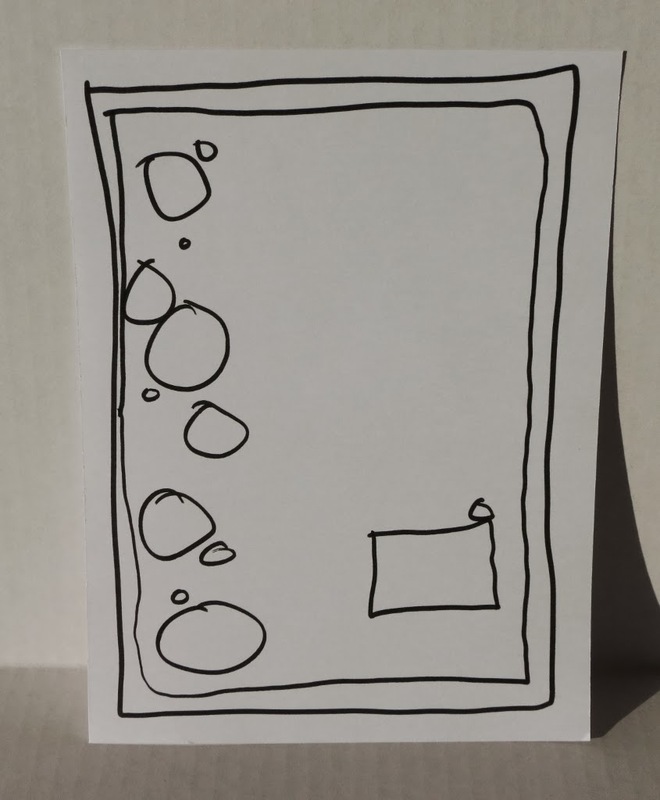 I'm not big on measuring, mostly because I don't like numbers, so I eyeballed the three panels in the middle of the card. If you're more of a perfectionist, you can always measure the space, divide by three and subtract the margins. Yeah, I'm happy making my best guess. If you're like me, you've failed this week. Not to be depressing, but I've failed over and over again. They weren't huge, end-of-the-world failures, but I still feel terrible about how I've fallen short of God's expectations. God is always waiting to forgive and move on. Imagine yourself as the apple of His eye, a special child that He loves to love. The shadow of His wings covers, protects and comforts when you've strayed away. 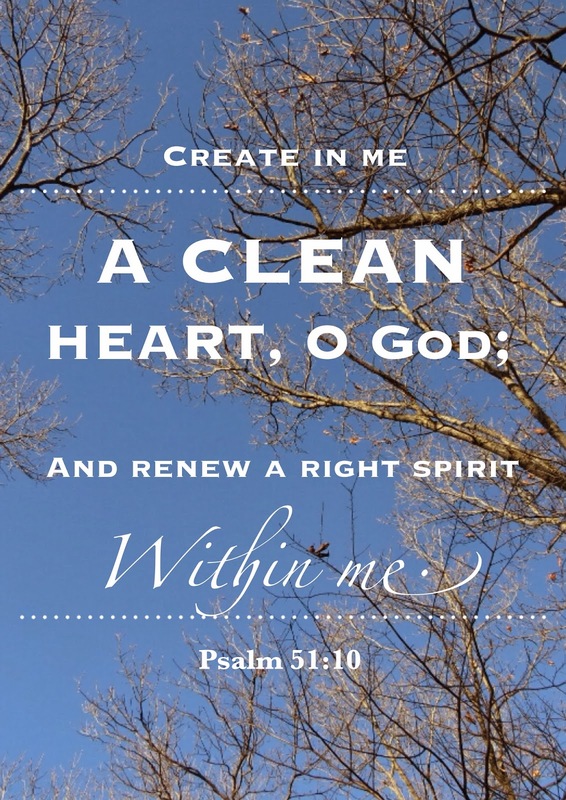 Make this a weekend of finding forgiveness. Whatever it is that's kept you from being everything you need to be, get rid of it. Ask forgiveness from God and forgiveness from those around you. Then turn your heart back to the Lord and find the peace that only He can give. I pray we'll all purge our lives of anything that separates us from close fellowship with the Lord. 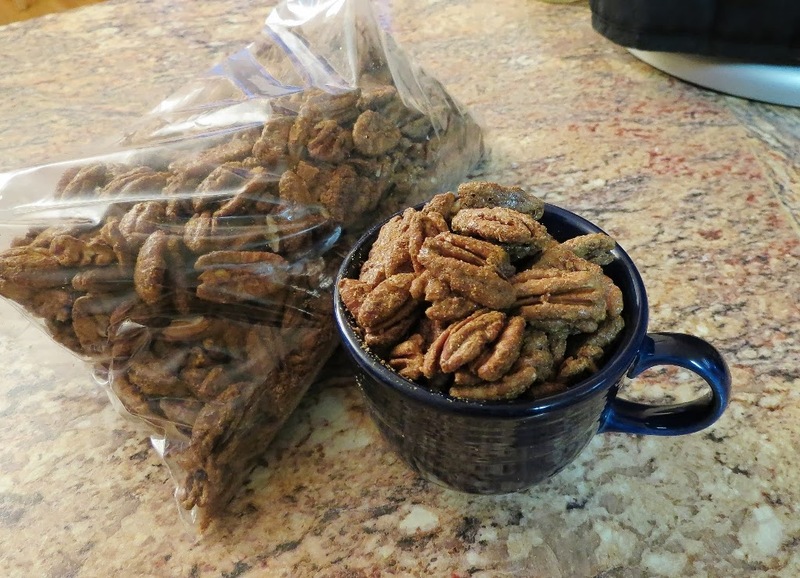 After playing around with several different versions and recipes, I've finally figured out my favorite cinnamon sugar pecans. And the biggest surprise, to me anyway, was that I ended up liking brown sugar on my pecans more than regular white sugar. I never would have guessed the difference brown sugar would make. 1. Preheat oven to 250 degrees. Generously spray a baking sheet with nonstick spray. I used a 9x13 cake pan and it worked really well. 2. Beat the egg white in a large bowl until it's all foamy. The add the cinnamon, brown sugar, salt and water. Mix it all together until it's smooth. 3. Add in the pecans, stirring until they're all completely coated. Spread on the baking sheet and pour any leftover syrup over the top. It's so much to do things outside of your comfort zone - especially when you're doing paper crafts! Numbers and measurements scare me. I like words and I like eye-balling things. That's what makes something look wonderful and homemade. But a sketch like this doesn't have to be intimidating. And you don't HAVE to measure, although it helps sometimes. The quilt blocks make this an incredibly pretty card, and you can use a variety of coordinating patterns and colors to tie it all together. Start with one block in one corner and use that one piece to measure out your other ones. That way you don't have to start adding, subtracting, multiplying or dividing ... shudder. One of the great things about living in the country when it snows is that you can finally see what's in the woods around you. We don't have night vision goggles, so the tracks left in the snow and on the ice give us a little glimpse into who's out there. 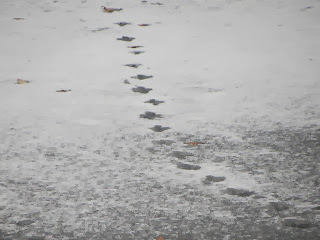 Their snow prints show us a little bit about who they are, where they're coming from and where they're going. The little ones coming up to the back door this morning don't excite me very much (Danny says it's just a cat, but I think it's polar bear), but the ones on the ponds fascinate me. They're large enough that I can see them from the upper deck. Now that the holidays are over, I'm rearranging the furniture. And it's a chain of events. Moving one piece meant moving something else which led to rearranging another piece and finding new places for something else. 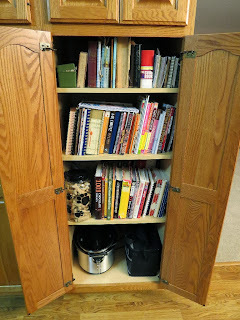 But in order to have this entire cabinet available, I had to rearrange half the kitchen. Maybe I'm the only one who's ever done this, but when we moved in, I just unloaded boxes and put things where I assumed they would be handy. Unfortunately, that's not the case two years later. A few days ago, I challenged Danny to a dessert competition. 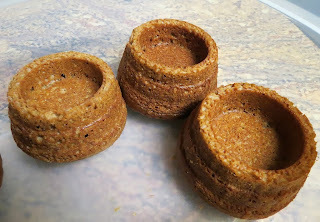 We each had a spice cake basket shell that I made with my new cake pan. For mine, I put in two scoops of vanilla ice cream and added mini chips and a chocolate syrup drizzle. I was so pleased - it looked pretty and smelled so good. I'm a sucker for a great spice cake. And then my husband showed me what he made. First, he put a spoonful of frosting into the bottom of the shell and heated it up. That way, when he put the ice cream in, the frosting would be all melted and flow over the edges. On top of that, he added candy raspberries, mini peanut butter cups, mini chocolate chips and chocolate syrup. I know when I've lost. And yes, I stole a couple of his ideas the next night! 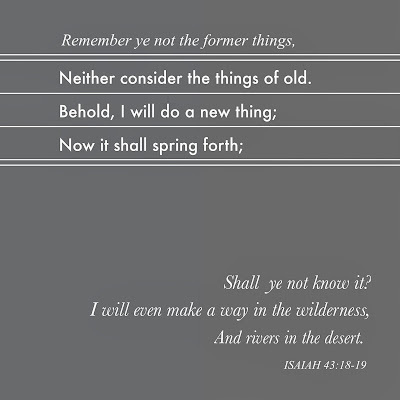 Words for Wednesday - Happy New Year!